Unlock Wonderware InTouch history file data. LGH File Inspector streamlines the process by enabling rapid and easy access to the lgh files without the use of other tools. ReportBuilder™ is a Microsoft Excel-based solution for providing comprehensive time based reporting of SCADA/HMI historical data. 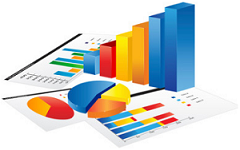 WorkSmart Specializes in Microsoft SQL Server design and development. 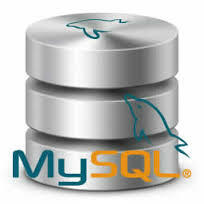 If you are in need of a custom database, we can help! WorkSmart specializes in providing custom applications and user interfaces using Microsoft Visual Studio. We've Got over 30 years of experience to help you! WorkSmart Automation provides products and services related to the industrial automation Industry. We are committed to developing long-term relationships with our customers. Our mission is to provide expertise in the computer and information areas of process control in order to assist system integrators, engineering firms, and the clients they serve. If you need reports for your SCADA/HMI system, we are your experts! We have extensive experience with automation and controls. If you've got questions, we can get you the answers! We provide SCADA/ HMI database solutions using MS SQL Server and Visual Studio. If you have a unique problem you need to solve, allow us to solve it for you! We pride ourselves in providing the best customer service around. That's why we have a 95% repeat rate with our customers! Check out our articles on products, services, and useful how-to posts. Have you ever wondered how to open LGH files without using a Wonderware tool? Wonderware InTouch LGH files are created daily by many InTouch HMI and SCADA applications all around the world. These files contain your application’s historical data stored in a binary format. LGH File Inspector reads these files and can export the data to an Excel workbook or CSV file. Sacramento, CA – WorkSmart Automation recently released its latest software tool LGH File Inspector for Wonderware InTouch for opening LGH history files generated by Wonderware InTouch Human Machine Interface (HMI) software and querying the data they contain. The query results can be exported to a Microsoft Excel workbook. We’re pleased to announce that WorkSmart has a new WordPress web site as of July 2016. We’re excited because we’ve now got the ability to provide news and other updates very easily. So check back often or subscribe to see relevant and helpful articles on reporting and industrial automation tips and tricks. What are customers are saying . . . Send us a quick note or question . . . Copyright © 2016, WorkSmart Automation, Inc.